Muriel Beckett. 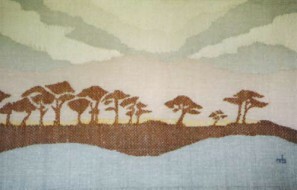 Weaver - Wall Hangings - 12) Row by Row. 80cms x 140cms. i12) Row by Row. 80cms x 140cms.